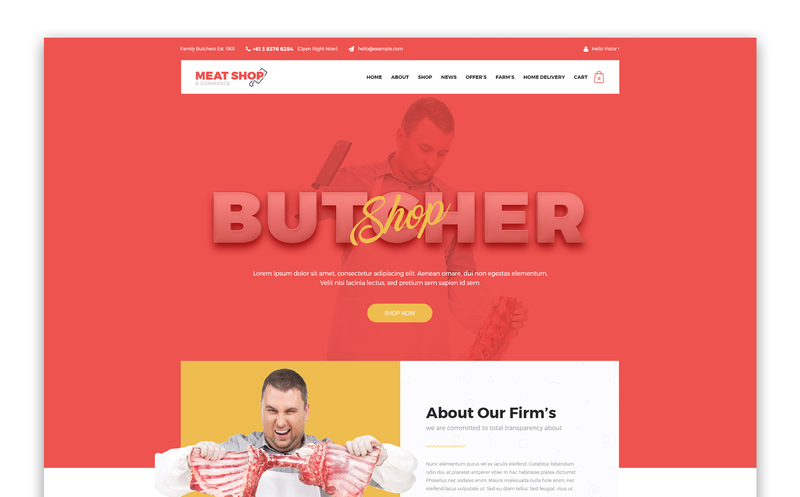 Butcher - Meat Shop eCommerce OpenCart Theme Based on Bootstrapâ€™s 12 column Responsive grid Template, Butcher - Meat Shop eCommerce OpenCart Theme has awesome design meat shops and such business. A meat market is, traditionally, a marketplace where meat is sold, often by a butcher. It is a specialized wet market. 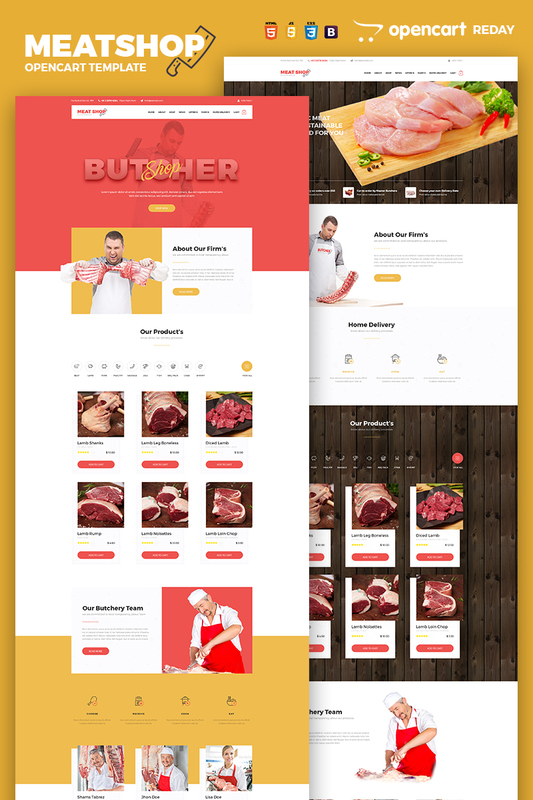 Butcher is best suited for Food website, Meat Shop, Chicken Shop, Mutton Shop, Fish, Sea Food etc. As a web designer-developer, tryring to give the best result to my clients, the is no other way than templatemonster templates. Very easy installation with quickstart packages give a ready to use ecommerce site in just minutes!!! Also, having some minor issues with some fonts and how to fix some google maps problems, excellent 24/7 support was available to help me. Also having great tutorials, Templatemonster can help you fix and change almost anything in your template.